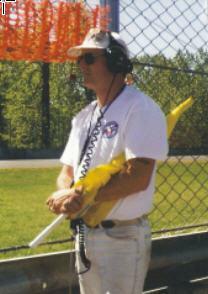 The International Race Drivers Club (IRDC) is an organization of individuals in the Pacific Northwest who share a passion for automobile road racing. Beside racing, members get together for monthly meetings, a variety of social events, and to help promote auto racing in our area. 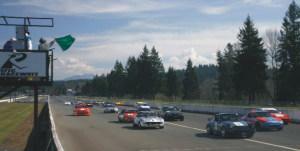 IRDC was founded in 1970 and is the western Washington area member club of the International Conference of Sports Car Clubs (ICSCC or Conference). The ICSCC was formed to provide a less expensive alternative to the sports car enthusiast whose interests lay in regional competition. It allows the average person the opportunity to become a competitive race driver on a local level. As a member of ICSCC, IRDC annually hosts three championship sprint racing events for road racing cars at Pacific Raceways in Kent Washington (formerly Seattle International Raceway) and The Ridge Motorsports Park in Shelton Washington. IRDC also offers Competition/High Performance Driving Schools, Lapping Days for qualified drivers (during Driving Schools) and Driver Education Days. Many members of IRDC are non-drivers. These include people who provide the support necessary to put on our race events: turn workers, communicators, timing and scoring personnel, technical inspectors and many other volunteers. There is a place for everyone. The only prerequisite is a love of sports-car racing. Volunteers are needed on any race weekend. Watch racing up close an even includes a free lunch! Attend a General Meeting or contact one of the club officers.